Adobe has a satisfied workforce, how can CIOs have the same thing? Being the person with the CIO job is hard work. You try and you try and you try to do a good job but it always seems like you are somehow falling further and further behind. There is so much work to do in regards to the importance of information technology that you only dream of being able to do all of the things that you should be doing in order to make your IT department as good as it could be. In cases like this, it might be helpful to take a look around in the world of high-tech and see if there is anyone who is getting all of this stuff correct. Does anyone know how to run things correctly? It turns out that the answer is yes – Adobe. If CIOs want to run their IT departments more like how Adobe runs its company, what are they going to have to start to do? One of the most important things that a CIO is going to have to do is to find out what his or her IT employees are thinking. There are a number of different ways to go about doing this, but sending out surveys to employees is one of the best ways. At Adobe they sent out surveys each quarter last year. The surveys asked questions like if if employees felt like they could be themselves at work, if they had had a meaningful career discussion with their boss, and if they were encouraged to think creatively. Employees were also asked if they thought that their job contributed to goals of the company and if they would recommend working at the company to others. One of the most important things that Adobe learned from sending out all of these surveys was that sending four surveys a year was too much! Instead, they have now decided to do the survey twice a year. The reason that CIOs need to understand how the people working for them feel is because they want to both attract and hold on to the best talent even as employment reaches record low points and every firm is experiencing a shortage of skilled technical workers. CIOs understand that how their employees feel can have a significant impact on the quality of their work. The goal of the person in the CIO position is to find a way to ensure that their workers are engaged in their work. Worker productivity and job satisfaction can be maximized if CIOs can recognize their workers for the good work that they do and then reward them for their efforts. CIOs who are able to find ways to promote a strong sense of belonging among their employees are able to create better relationships with their employees and the end result of this is that the organization becomes more effective. CIOs need to understand that their workers will discuss their jobs with others. In order to determine how the employees of an IT department feel about their jobs, a CIO needs to become a part of these discussions. That’s why it’s so important that the CIO work with the company’s Human Resources department in order to stay on top of what current and former workers are saying about the company on career websites. Of the most interest will be those sites where employees can discuss jobs anonymously. Every worker is different. CIOs need to understand that each of their employees will have a different measuring stick that they will use to determine what constitutes an engaging work environment. The reason that a CIO would like to make their IT department more like Adobe is because they are looking for ways to keep the engagement of their employees high while at the same time finding ways to minimize the number of employees who choose to leave the department. One important way to accomplish this is for a CIO to increase the amount of training that each employee gets. Studies have shown that training can boost morale and reduce turnover rates. Employees who get more training tend to stick around longer. Finding ways to keep IT employees engaged can take some creativity on the parts of CIOs. As an example of this is a firm that took steps to demystify the health of the people that it had working for it. Programs like this can contribute to increasing employee’s physical fitness. Health programs can allow employees to do a better job of managing their time and energy. The result will be optimized workplace performance. These are the employees who are more likely to get promotions and remain with the company for another six months. In order for a CIO to get stronger engagement in their workforce will require engaged IT managers. These managers need to make sure that they are modeling ways to uphold the company’s values. CIOs want their IT department to be a smooth running machine that people want to work in. Although this is a good goal to have, it can be very difficult to find ways to make it happen. One good strategy is to take a look at what other firms are doing and see if you can copy what is working for them. 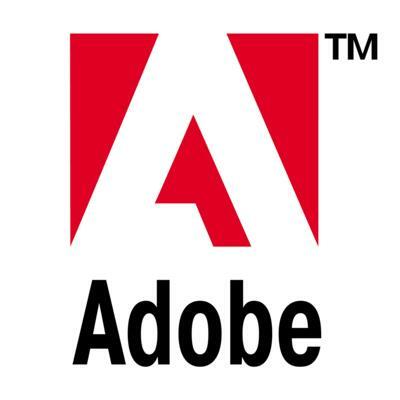 In the technology space, a company that runs a good shop is Adobe. Adobe understands that they can’t create a workplace where people will want to come and work if they don’t understand what their workers are thinking. In order to collect this information, last year Adobe sent out four surveys to their employees to collect information on how people feel about their jobs. One of the most important things that Adobe learned was that four times a year was too much – now they only send their surveys out twice a year. CIOs understand that job satisfaction can have a direct impact on a worker’s productivity. This is why CIOs have to take the time to recognize employees for their accomplishments. Since employees will discuss their jobs, CIOs need to enlist the help of their HR department to listen in on these discussions on online career boards. If CIOs can find ways to keep their employee’s engagement high, then they can minimize the amount of turnover they have. One unique way to accomplish this is to implement workplace health programs. Employees who participate in these programs are healthier and tend to stay longer. CIOs don’t have all of the answers. When we are faced with a problem such as creating a better workplace, we need to look around and see if anyone else has been able to solve this problem. In the case of IT, Adobe has done a great job of creating a workplace where people want to come and work. CIOs can look at what Adobe has done and replicate those features into their own workplace. Question For You: How long do you think that an employee survey should be? I would like to be more successful. Would you? I think that there are several points during the year that we all have the realization that we’d like to be able to accomplish more based on the importance of information technology than we are currently able to do. When one of these times swings around, we make a promise to ourselves to get more done, become more creative, etc. However, it turns out that we’re overlooking one very important factor: just exactly how much the time of day matters to our performance.